City Council President and mayoral candidate Jen Giattino announced her council at-large slate earlier today in Church Square Park. The three council at-large candidates are Hoboken Zoning Board of Adjustment Chair Jim Aibel, Sal Starace and Jason Ellis. 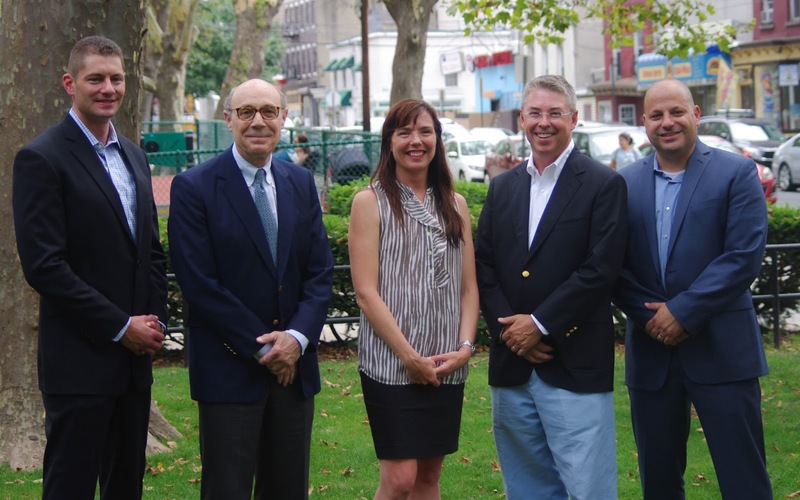 Council candidates at-large on the Jen Giattino council slate: from left: Jason Ellis, Jim Aibel, City Council President Jen Giattino, Fifth Ward Councilman Peter Cunningham and Sal Starace. Update: There's more coverage coming on today's Giattino for Mayor slate. Traffic has been climbing steadily, each day all week so this 🐴 is well aware many await more details. MSV has more national candidate coverage coming to the Hoboken hamlet soon too.